For the past three months, I along with five partners have toiled in stealth mode to build a disruptive product that will revolutionize media consumption as we know it, by synergizing television watching with bicycle riding. Leveraging unparalleled loyalties to both recreational activities, it is our intent to forge a new market based on mobile multimedia and capitalize upon emerging opportunities. In short: we have developed the HeadSprout, the world’s first fully-integrated bike- and head-mounted digital television system. Mobile television has been a tragically untapped market thus far in the United States. Because the vast majority of television viewers are accustomed to consuming broadcasting from the comfort of a living room, various companies have failed to make significant inroads in taking television out of the house. Our approach is to start with perhaps the most mobile segment of the American population: college students. Typically without the resources to own a car, many college students are confined to their bicycles as their only means of transportation. Additionally, the college environment has historically seen less broadcast entertainment, since many students find themselves without the time to passively watch television or listen to the radio, and most do not have access to a living room. Paradoxically, individuals from this demographic tend to follow sporting events and other regularly scheduled programming more fanatically than younger or indeed older Americans. 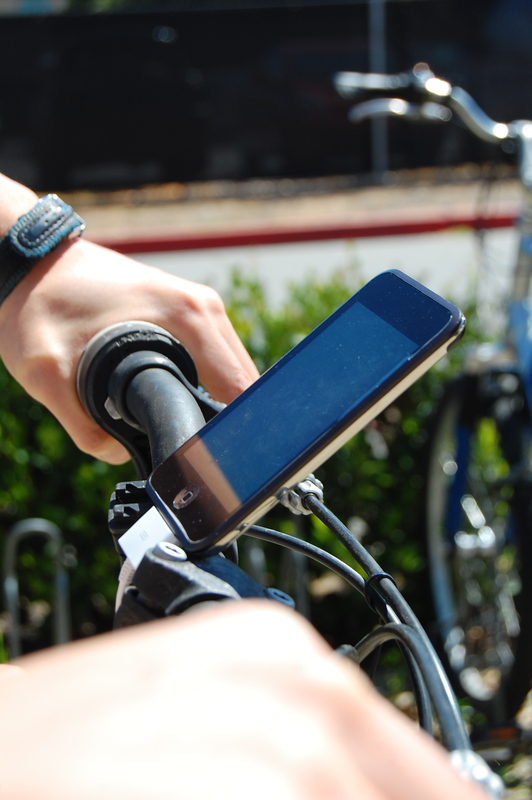 In short: don’t you wish you could keep up with March Madness even while biking to class? Of course you do. Wouldn’t it be great to magically sprout antennae and continue watching the live coverage? Of course it would. And that’s where HeadSprout shines. Using our patent-pending, non-invasive head mount technology, HeadSprout provides a quick and easy way to keep a bidirectional VHF receiver attached to the part of you that receives the best television reception: your head. This configuration transforms a previously frustrating process – adjusting the antenna for improved reception – into a very natural action: cocking ones head in various directions. The receiver is connected, via insulated wires or a coaxial cable, to a compact NTSC/ATSC tuning device clipped to the bicycle frame. A USB cord then runs forward to a mobile touchscreen device (sold separately), which is finally mounted to the handlebars via off-the-shelf components. But what about controlling the television unit? Since our apparatus is designed to integrate with a mobile touchscreen device, the obvious solution would be to stop there and force cyclists to use the touchscreen while biking. However, we found key deficiencies in this model during preliminary testing. Specifically, I involved myself in a multi-bike pileup in the Intersection of Death while attempting to operate the touchscreen with one hand. Instead, we focused on more deeply integrating the television interface with the bicycle itself. For example, we found that changing channels is analogous to the process of changing gears, familiar to all but the youngest of bikers. 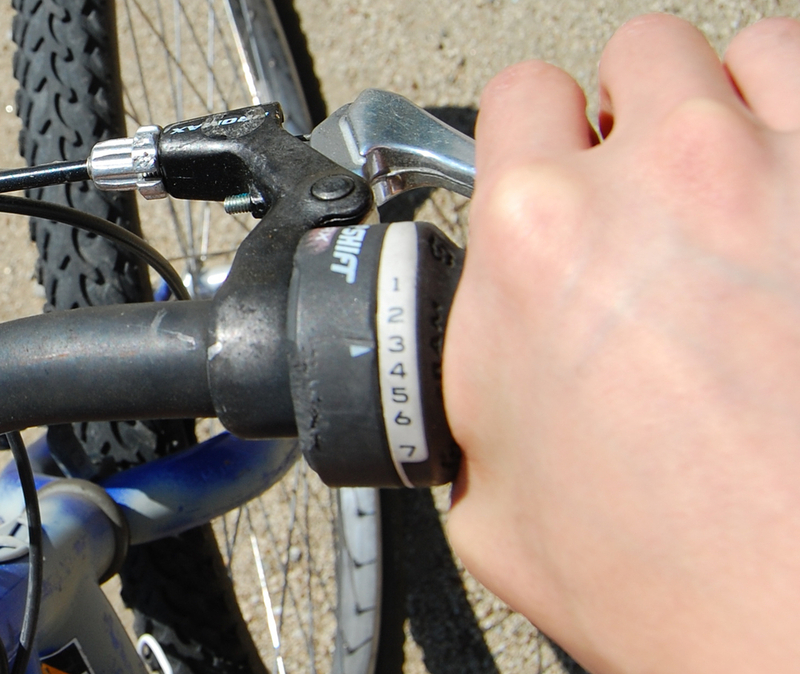 Therefore, channels and gears are now controlled using the same dial, typically built into one of the handlebars. We also discovered that bikers tend to shift attention away from the television screen when braking, such as at busy intersections. In our apparatus, live television is paused whenever the brakes are pressed with sufficient firmness. It’s simple, conceptually, but the trick is getting it all to work together. We have pioneered a safe, durable apparatus that integrates all these parts into a package that can be easily installed onto an existing bicycle. With minor modifications, it will even be possible to support tricycles, tandems, and unicycles. Only two minor caveats remain: first, it is usually necessary to remain completely stationary (including holding one’s breath) in order to receive digital signals reliably. We believe this is an issue out of our control and a fault on the part of the ATSC. Fortunately, there is a simple workaround. 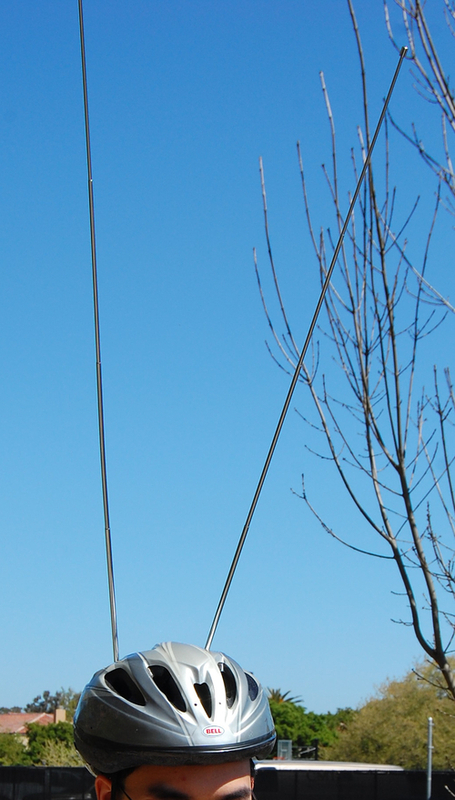 Second, VHF antennae usually extend upwards by a few feet. 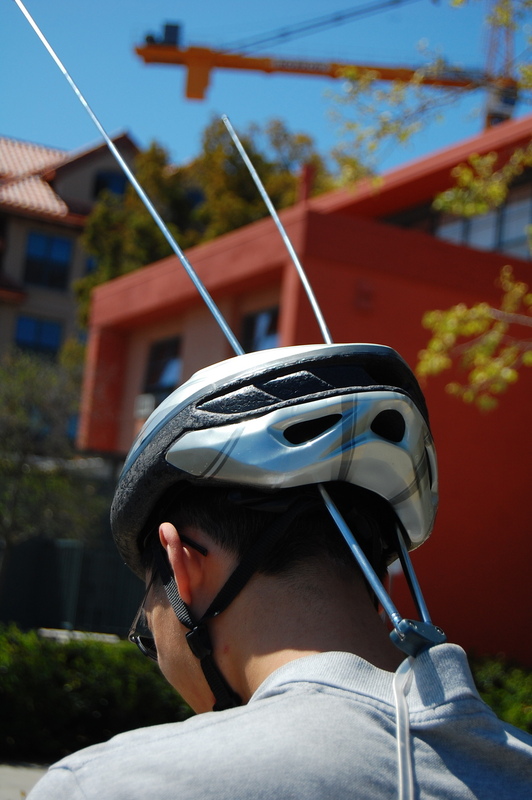 We have noted a variety of responses to our unique design from passers-by, ranging from the playfully curious to the downright malicious, due to the antennae’s prominence. With the slight vertical footprint also comes a somewhat heightened risk of brushing into trees or having low clearances pull you right off your bike. In the future, we hope to eliminate the HeadSprout’s physical footprint – already much less than that of 18-wheelers and earth-moving machinery – by engineering an UHF antenna into a specially-designed helmet. The effectiveness of such helmets has been proven in life-or-death situations. We also plan to contract with eyeglass HUD manufacturers. Soon, you won’t even need to glance away from the road to view television, thanks to an opaque image of the current channel superimposed onto your regular field of vision. We concede that the world is not expecting an advance in blue sky technology from these quarters. But we are confident that it needs one. As such, we fully intend to take this concept to production by the beginning of April next year. If you or someone you know is a venture capitalist with hoards of cash and a love for sophomoric technologies, please get in touch. Also, if you are a licensed psychologist, we could probably use your help too. All the photos in this post are the work of HeadSprout photo wizard Agustin Ramirez. Happy April! After I introduced the HeadSprout back in April, several people asked me how I came up with the idea. Meet the Sony Watchman. Minh, I can't tell...is this real, or a prank? Enter your e-mail address to receive future information on our venture. Assure yourself that you will never need such a ridiculous product. I am really impressed by your work here. I would like to offer you a job to help me build a tunnel to carry airplanes underneath the plains of Kansas that will carry my Tesla vehicles that I will then use to destroy public transit in the US of A as should have been done when the streetcar companies were all bought up by my friends at Goodyear. Press “Submit” to send this card to Minh. Your comment will appear on this page as soon as he approves it. No solicitation, please. Your e-mail address is never displayed on this website and will not be shared with any other entity. Copyright © 2002–2019 Minh Nguyen. Some rights reserved. Made with a Mac, powered by Movable Type, and delivered to your desktop by DreamHost. Minh’s Notes is a part of 1ec5.org.